WASHINGTON — Congress is requiring the Army to develop a modernization strategy due out in the spring of 2018, according to language in the conference report of the defense policy bill made public Nov. 9. The request comes at a time the Army is attempting to launch a new modernization command to ensure the service is progressing at a rapid pace to address priorities in order to maintain overmatch against current and anticipated adversaries. The Army has struggled over the years to modernize its forces. With budgetary limitations in an uncertain fiscal climate, maintaining the service’s immediate ability to respond to contingencies worldwide has taken precedence over improving equipment in the long-term designed to withstand even the toughest peer adversaries’ capabilities. The service has chosen instead to incrementally upgrade what it has over developing new systems, but the modernization command could help make some of the top modernization priorities a reality for the Army. The top six priorities for modernization going forward are: Long-Range Precision Fires, next-generation combat vehicle, Future Vertical Lift, the network, air-and-missile defense and soldier lethality. Congress wants a “comprehensive description” of the future Army, “including key objectives, warfighting challenges, and risks, sufficient to establish requirements, set priorities, identify opportunity costs and establish acquisition timelines for the total Army over a period beyond the period of the current future-years defense program,” according to the report language. And the Army should consider how it’s going to fight as part of a joint force and across all operational domains, it says. As part of the strategy, the Army should identify programs that aren’t necessary or are not meeting performance expectations. 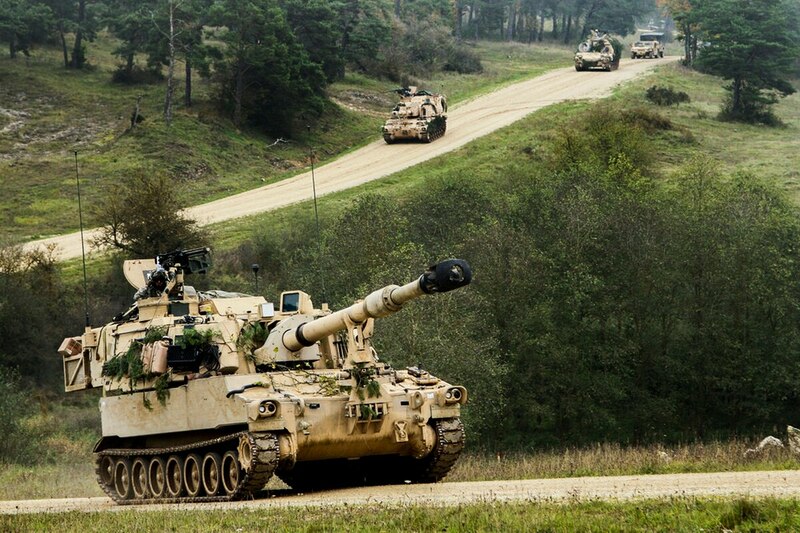 In particular, Congress wants a description of what is needed to maintain command, control, communications and sustainment and a description of combat vehicle modernization priorities over the next five to 10 years. The Army released a combat vehicle modernization strategy several years ago, which has since been revised and tweaked to reflect emerging requirements. Congress particularly wants to know how the Army plans to balance near-term vehicle modernization efforts with a long-term strategy to bring on a next-generation combat vehicle. When developing a strategy, Congress wants the Army to examine current trends and developments in weapons and equipment technology, the report states, as well as new tactics employed by peer adversaries and how their forces are designed. The Army’s strategy is due no later than April 30, 2018. Separate from the request to develop a modernization strategy, Congress has also mandated — as part of the conference report — several other strategies specific to the Army’s top modernization priorities. The plan should include how the service will use the latest “enabling component technologies” with the potential to “dramatically change basic combat vehicle design and improve lethality, mobility, range and sustainment,” the report states. This would also include an analysis of foreign ground combat vehicle capabilities and if there is anything there that could help guide the Army’s prototype development or be directly incorporated. The Army is also required to include in the plan to build a prototype a schedule, costs, key milestones and leadership structure. The service is already in the process of kicking off a Next-Generation Combat Vehicle (NGCV) prototyping effort by awarding an industry team a contract to build two demonstrators by fiscal year 2022. The demonstrators are meant to inform requirements for an NGCV program-of-record down the road. To address the air-and-missile defense modernization priority, Congress wants the Army to deliver a plan for fielding the Integrated Air-and-Missile Defense Battle Command System (IBCS) no later than Feb. 1, 2018. IBCS is the brains of the Army’s future IAMD system, but it’s fallen deeply behind schedule. Without it, no other segment of the system will work. IBCS performed well during a soldier checkout event and the Army is assessing if it can make up for some of the schedule loss as a result. Congress plans to withhold 50 percent of funds authorized for research, development, test and evaluation for IAMD and IBCS until the plan is submitted. Lawmakers also want to see a strategy for modernizing the Army’s Lower-Tier Air-and-Missile Defense Sensor (LTAMDS) — a sensor intended to bring 360-degree capability to the future IAMD system. The current sensor on the Army’s Patriot system does not have the ability to detect threats from a 360-degree field of view and is seen as a capability gap that must be fielded to maintain overmatch against adversaries with highly capable missile systems. Congress wants to see the strategy by Sept. 15, 2018, showing how the Army can get a capability fielded no later than Dec. 31, 2023. The strategy should include how the Army will compete for the sensor, a description of the open-architecture design to be used, and a fielding plan to deliver the capability to all units of the Army, according to the report. The strategy should also show how the Army plans to find savings in operations and sustainment of the system and point out anywhere cost can be brought down using co-production, co-development or foreign military sales. The plan should also include how the Army might field an interim capability to the highest priority forces, at least three battalions’ worth, according to the report. Congress plans to withhold funding for the LTAMDS project if the Army does not issue a strategy by the deadline. The Army has already awarded contracts to four companies to come up with concept designs that will help inform the Army’s requirements for a new 360-degree sensor. If the Army can’t get a plan to Congress on time, responsibility to execute the strategy will be transferred to the Missile Defense Agency. The agency would have until August 15, 2019, to submit its plan to Congress.